On Thursday in the AMBER EXPO starts Technicon Innovation Fair 2015. As every year, we will present our newest ideas for professionals in the RF/Microwave domain. Our main product RFswitchATT.mobile – automatic, electronically controlled attenuator equipped with a digital terrain mapping will be presented in its natural, mobile measurement environment – a car with a platform a measuring antenna and the RF switching unit. It is a unique place in the network which offers a wide range of high-quality RF products with their technical descriptions and reports of verification tests. 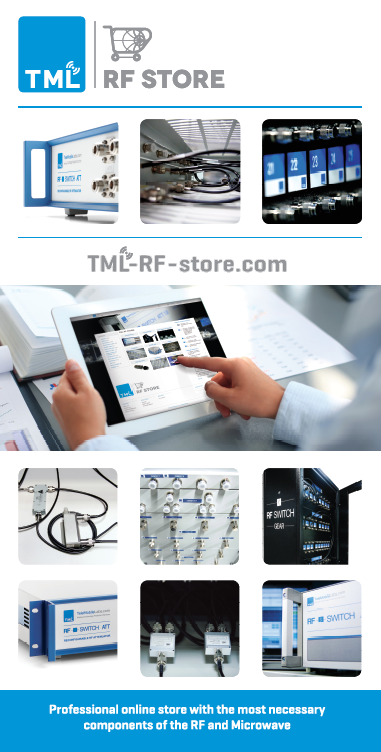 Each product purchased in the store TML-RF-store.com is specifically tested in laboratory test TeleMobile Labs. The test results are saved and archived. Our customers receive products that 100% meet the specifications in our internal certification tests. Booth: Hall A, Stand 06.